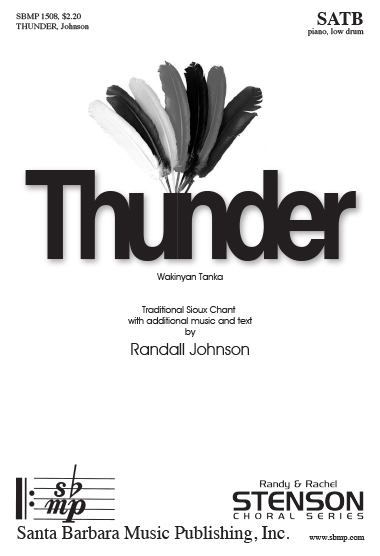 Thunder, Randall Johnson | Santa Barbara Music Publishing, Inc.
Up above something sacred you have seen. Pronunciation is quite straight forward for the limited vocabulary of this chant. Vowels are without diphthongs and are pronounced a=ah, u=oo, e=eh, o=oh and i=ee. Consonants are as they look except c=ch and n=ng when coming before k.
More information is included on page 2 of the music.